RIGID PLASTICS may be recycled at the Transfer Station during regular business hours 7:00 am – 4:00 pm (Users must enter by 3:45pm). Please see the flyer above for items that are acceptable. 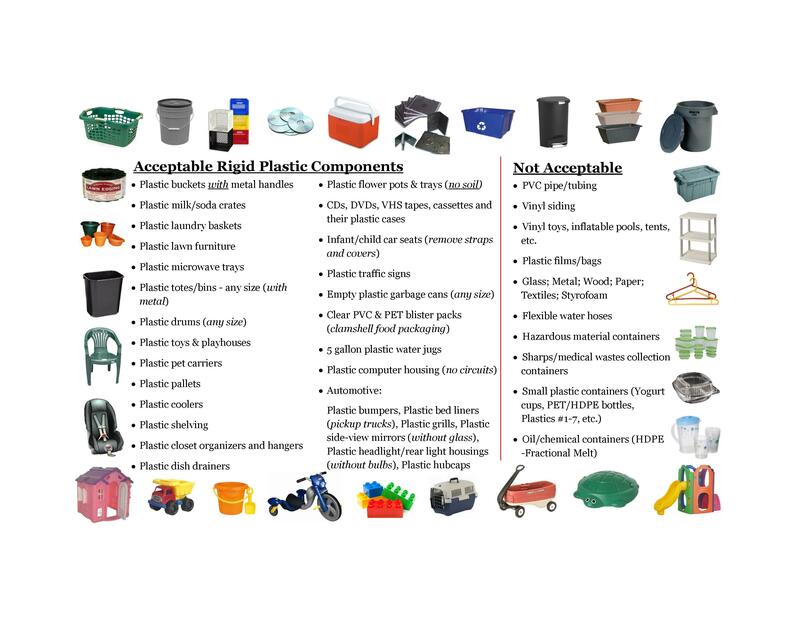 Rigid plastics do NOT include plastics that can be recycled curbside.